Born and bred on the Irish shores of the Celtic Sea as his father 'afore im, Charles became an accomplished sailor at a young age. 'Ee joined the English Merchant Marines at age 16 as a Jr Officer. His exploits and heroics in battle resonated throughout England and when word of this young man reached the King Charles II, Lt. Black was promoted and granted commission of his own ship, the HMS Royal Oak. The Royal Oak enjoyed many victories and conquests while fighting the French, Spanish and Dutch in the New World. However, Captain and Crew were betrayed by the Country they loved... no doubt some kind of 'Political' plot. After all, his Friend and Mentor King Charles II suddenly and mysteriously passed on... was the New King, James II involved? Scuttlebut had it that James did his ill-fated brother in to gain control of the Thrown. Captain Charles W. Black was good friends wit' the deceased, having served the throne loyally for many years. And now, because of this friendship, had been outlawed by the new King... Unjustly Wanted for Treason and Acts of Piracy. 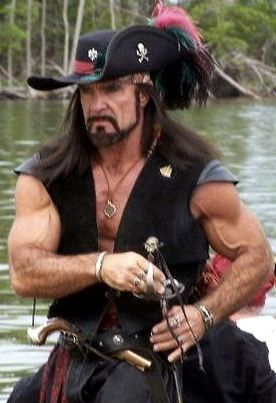 Captain Black embraced his new role as Pirate with the same courage he had taken his first command. As a man of Conscience and Honor, he gave leave to anyone who would not follow a pirate to disbar at the nearest port. His new Home,Tortuga, was a 'Pirate Friendly' Island and there, he re-christened his ship the "Valhalla" Hence-forth becoming known as the "Scourge of the Carribean." Revered and Feared from the Northern Colonies down to the West Indies, the Valhalla flies the RUDDY JACK ('er own ensign painted on a battered Kings Jack). However, she still occasionally flies the Blue or Red Ensign, flags revoked "er by the New English King. This li'l trick, does allow "her to get conveniently close to Merchant and other ships of choice. Once within the gunners' range, she will raise 'er own true colors! Michael Morgan Black grew up on the Celtic Sea with his older brother Charles. Also an Ex-English Naval Officer. Disbarred for an unfortunate incident with another English Officer who was stabbed in the throat for a few unkind remarks with the Ex-Naval Officer Black.. Michael Morgan signed onto the Valhalla, with some reluctance, as her Lt and second in command. And although this man is a bit of a Rogue and a Scallywag, his loyalty lies with King and Country... Albeit, keeping a weather eye to his own advantage. So obviously it did not sit well with him when his brother, the Captain, declared their Independence of Mother England. He eventually fell victim to the back street pubs and shanties of London, fightin' in bare knuckle challenges for food, rum and some spare change. On occasion, he would sign on with a merchant ship as a gunner or gunner's mate. It was on one of these trips that he ran into Captain Black and the Valhalla. His ship was seized and Matthew was presented the option to either be set adrift or sign on with the Valhalla. He adapted to the life of a pirate rather quickly, as it seemed to be much more lucrative a trade. 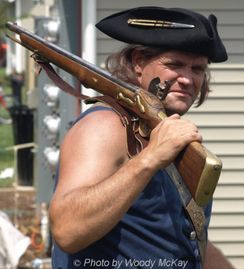 Matthews strong presence and keen knowledge of black powder weapons earned him the position of Master Gunner on the Valhalla. Le Marquis' is a charming rogue ( who refers to himself in the 3rd person) was raised with the sword and the manners of a gentleman. Commissioned in the French Navy, He spent 15 years in the high seas honing his skills in ship handling, rigging and navigation. 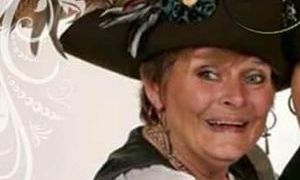 One day Jean was tasked to deliver a captured British ship to the nearest French port, but instead led the crew into the Caribbean in search of plunder. He took many ships before falling into a British trap. Gitana was born the daughter of the Moroccan political leader Mohammad Temin. She never fit in with the other girls of royalty , practicing the art of court etiquette and preparing themselves to be suited as a wife of a prince. Instead , Gitana would sneak off and learn the art of swordplay by the kings fierce soldiers the Black Guard and , she would be out and about belly dancing and carousing with the common folk. Gitana soon became tired of the upper class and she booked passage on a heavily armed merchant ship to the Barbary Coast . The ship was soon captured and plundered by Ottoman pirates and Gitana was given the choice to either take away on the long boats into the sea or sign on. She signed onto the ships log as Gitana Barbarossa. Gitana learned gunnery and seamanship while plundering many ships with the Ottoman pirates. As time went on, she would find herself on an island off the northwest coast of Hispaniola that was said to be the most wicked pirate haven of the Caribbean... Tortuga. As time went on Gitana makes her living by dancing and carousing In local pubs where she meets captain Charles black of the Valhalla. She is intrigued and wants to join the Valhalla crew . Capt.Charles W. Black turns her down flat. Only to find that when he gets underway , she stows aboard. 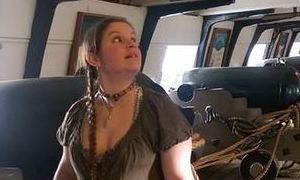 At first Capt Black is furious but In time finds that Gitana has superb knowledge in current trade routes and then proves herself In battle. When the Valhalla is In port Gitana uses her seductive belly dancing skills to seduce merchants and learn what valuable cargo is coming In for the Valhalla to plunder. Gitana reacts to any dangerous situation before she assesses it. Her motto from her father "don't think-just do"
And this is how Gitana always starts some trouble. And why the captain keeps Gitana fairly close. It's when she goes off on her own all hell breaks loose !!! Hernando CorteZ is a true descendant of the blood-thirsty Spanish conquistadors. He spent his career fighting the British Navy. After 12 years of service to the Spanish crown, he was granted a letter of marque. Hernando intercepted English merchant ships and was considered to be merciless by his enemies. CorteZ became embroiled with the intrigues of the Spanish court and was stripped of his position. Abandoned by his home country, Hernando fled. He was soon captured and sentenced to hang from an English rope. Fortune smiled upon CorteZ, when he was discovered chained below decks during a Valhalla raid. 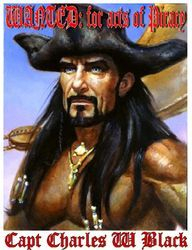 He was given 2 choices: join Captain Black or be sent to Davy Jones locker. No ones fool, CorteZ chose to sign articles and quickly became the Valhalla boarding leader, bringing a quick death to those who resist. 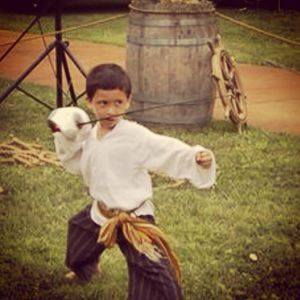 Hernando CorteZ is courageous with a cutlass, deadly with a knife, and skilled in military strategy. Tink, as we named him (he never gave us a name), is a master at wood working and whenever he's not Careening the hull or re-building part of the ship, he's tinkering with wood. Carving shapes and small toys. We're not even sure how he came about us as one morning after Christmas he just appeared on the deck as we woke. He said his ship flew away (it must be very fast) and he needed a 'vacation' down in the Caribbean. Tink is invaluable as our ship's carpenter and his rapore' with young people is uncanny. Although strange how he seems to disappear before every Christmas, without a trace (even if we are at sea). And then miraculously re-appears a day or two after the holiday (again, even if we are at sea). Something's afoot however, we believe we'll keep him! Gibbs hails from Ireland. His father abandoned the family when Gibbs was 5 years old. His mother remarried and Gibbs was raised by his step-father who was a sailor. When he came of age he decided to join the Royal Navy where he served as Quarter Master for over 20 years. When his ship was taken by Captain Black and his crew, he was offered the job as Quarter Master of the Valhalla, as the previous one had died in battle. Or, he would be left adrift in his ship. 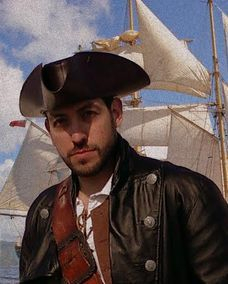 He has adapted to the Pirate’s life very easily and has proven to be invaluable to the Captain and crew for his shrewd and savvy negotiating skills. He leaves no money on the table and gets the best prices for the goods that the Valhalla “acquires”. With a Panamanian mother and Irish father Nipperkin Quinn was just bound to be feisty… and feisty she is. She spent her days tending to the cattle with her mother; landlocked on the family farm in central Panama, whilst her father was off at sea sailing on a merchant ship. She always had a longing to be on the water. Every time her father departed she would beg to take her with him. At the age of 18 she would finally be going out to sea! There were not enough healthy crew members to sail and Nipperkin was brought along to tend to the sick and the cattle. Lucky for her that she was good at caring for animals and, well, people aren’t that much different right? Flying under the English flag they set sail back to England. So she started a new life on the water working hard to keep the crew alive. They were over half way there when they were attacked, boarded, and taken hostage by pirates. She was caught taking care of a crew members injuries. This made her valuable and was forced into service on the Valhalla as ships surgeon. Italian born Diavolo immigrated to the Americas to seek his fortune. In the end he mastered the art of smithing. He became known for his ability to forge formidable fighting weapons mainly swords, daggers and such. After a hard day at the forge he found himself at the local pub, in his cups and quite loaded to the gunwails. He was abruptly shanghaied by the British Navy and forced to work on the great warship, HMS Expedition-70 guns strong. While sailing through the pirate round the war ship came upon a mighty sailing vessel, later to be discovered as the infamous pirate ship Valhalla. A great battle ensued at which time the HMS Expedition was disabled and quickly boarded. Diavolo was taken to the Valhalla, where he was presented to Captain Charles Black. When given the choice to either have a date with the Quarter Master or to go on account (turn pirate). Diavolo quickly choose to pledge allegiance to Valhalla and her crew. Diavolo became the ships smithy forging many lethal weaponry for the Valhalla. 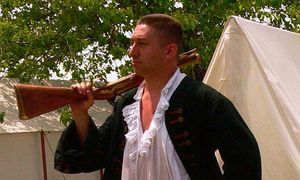 He is also well versed in the use of the ships gunnery, pistols, swords and whips. Born into Spanish colonial aristocracy, Gabriel Martín was raised and educated as a gentleman in the audencia of Santiago de Chile. He studied religion and language at the Universidad de San Marcos, but eschewed the life of a clergyman afterward preferring to work in his family’s merchant trade. After three years serving aboard merchant vessels he was impressed into the Spanish Navy as an interpreter. Resentful of being forced to serve the Spanish crown for whom he had no love, Gabriel defected from the Navy and found a home aboard the Valhalla. A tea teatotaler and mindful of his religious convictions, he prefers to be addressed as San Gabriel or San Martín to remind him he is watched from above. 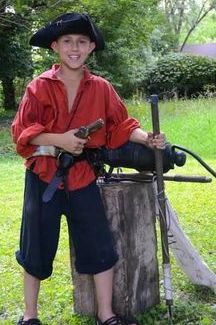 The son of a minor nobleman of little consequence, young Mister Munch sailed as a Midshipman aboard the barque HMS Endeavor. His travels in the South Seas under the legendary James Cook gave him ideas far above his station, but also earned him a Royal Commission as a Lieutenant in His Majesty’s Navy. Fate being the cruel mistress that she be, Lt. Munch was drummed out of the Navy when it were discovered that he was left-handed (a sure sign of devilry to the superstitious crew of his ship-of-the-line). With a chip on his shoulder, a discharge marked ‘Sinister’ and new nickname to boot, no legitimate merchant Captain or warranted Privateer would sign “Lefty” Munch into service. Thus he turned to piracy, where no one much cares in which hand you hold your sword, so long as you could swing true. Lefty now serves aboard the Ship-of-Fortune Valhalla as the ship’s chief cook and steward—the only position offered him by the eminent Captain Black—where he is often ribbed (much to his chagrin) by the rest of the men for his fall from grace. Still, he keeps the bellies of the crew full and their tankards topped with rum (when there is any) and is offered in turn a hearty share of the spoils. Plus the added opportunity to find the Officers who blackened his name at the tip of his blade. Born Rory Thadeus Pond in 1701, in Queensland Australia. The son of a seamstress and blacksmith. Rory was very much a hustler from the time he was a small boy. He always took pleasure in conquering the better end of the deal. He is more of a peaceful problem solver using his wits and intelligence to settle most disagreements. He would only resort to a physical altercation when his words or offering of alcohol didn’t do the trick. After his parents passed Rory would work odd jobs at the docks as he took to paying merchant ships for safe passage from place to place. Eventually ending up in Japan where he met and was befriended over a bottle of sake by Mekasa, a Samurai & messenger for the Shogun Ty. Mekasa showed Rory the way of the sword as defense after observing Rory’s fighting skills that were sadly lacking. After 10 years of study and Mekasa’s death, Rory took to the open sea with a merchant ship heading for the West Indies in hopes of finding a coin to gain, but instead found a ship flying a Ruddy Jack standard. And a captain ready to add the samurai fighting style to his boarding party. Sully was brought up by his father on the waters in and around Cork, Ireland. He was an accomplished fisherman, and learned to read the tides and ocean like a book. His father was killed by an English Naval commander, and Sully, himself, was hunted as well. On the run, Sully decided to join the Jacobite movement, and while heading to Scotland with other recruits, the ship upon which he was travelling was sunk during a terrible storm. Sully and a few other survivors were rescued by a pirate crew, captained by one Declan O’Malley. 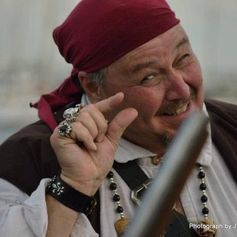 Sully sailed with Captain O’Malley for two years, learning everything there was to know on a ship, eventually, and reluctantly, taking over the captaincy for a short time after O’Malley’s demise. Sully and his crew eventually met up with the Crew of the Valhalla, who took Sully on as a crewmember when his ship was destroyed by a terrible hurricane while being careened. 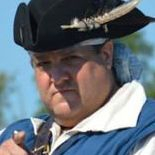 Sully has remained ever vigilant about keeping his Jacobite leanings to himself, as Captain Black despised King James II, and blamed him for the demise of his naval career and eventual fall into piracy! What would happen if the Captain finds out? James Hawkins grew up very fast aboard the Valhalla. keeping his eyes and ears open, he has been promoted to mate to gunner. He now works very closely and is Gitana's sidekick.